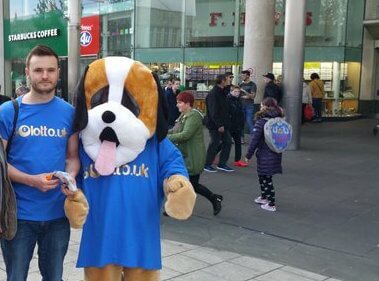 Millions of people dream of winning big on the lottery, whether its the National Lotto or the Euromillions, they generally risk little, but can potentially win huge every week! 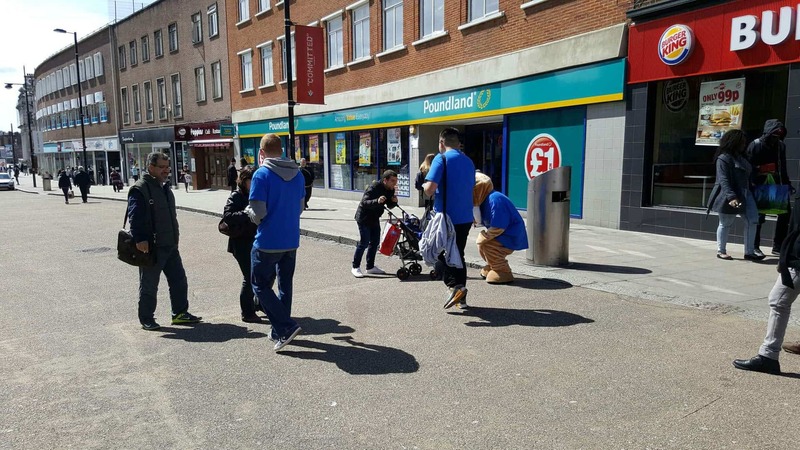 There are many variations of the lottery for the public to play and the residents of Southampton now have a brand new way of winning big, after the SOlotto just launched. To celebrate the launch and raise awareness of SOlotto, GottaBe! 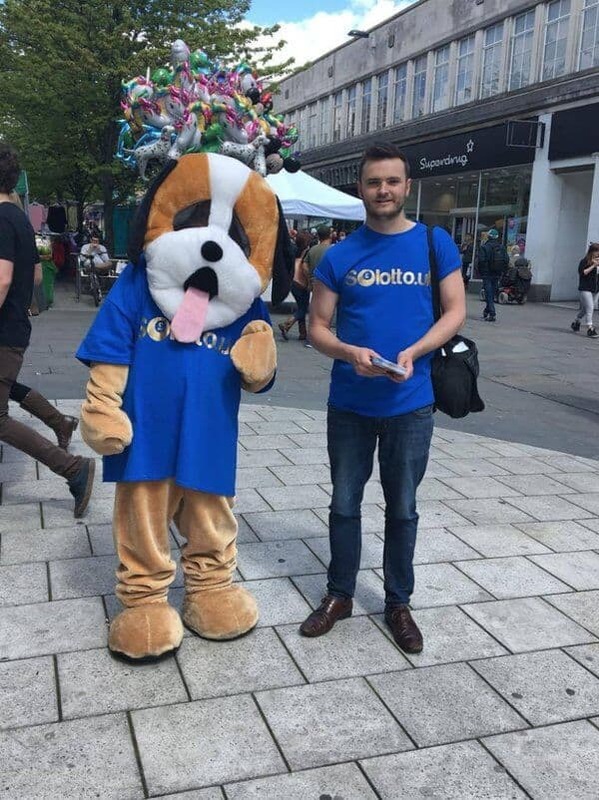 has run a promotional tour of the City, with Winner, the SOlotto dog and mascot. 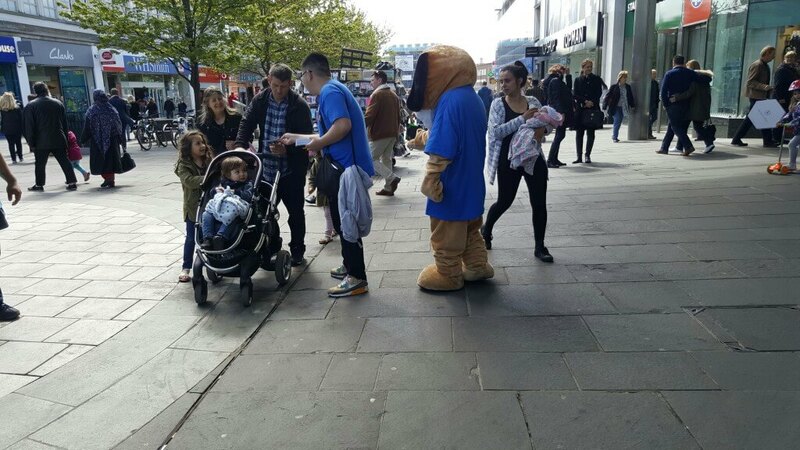 A not for profit lottery, residents have the chance to win up to £50,000 in cash, with prizes either won from scratch cards or online entry and 70% of proceeds from scratch cards and 60% of proceeds from online entry, being returned to the community. 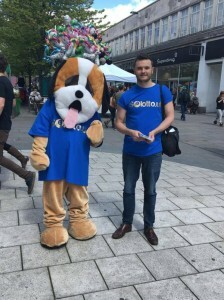 The aim of the campaign was to engage with members of the public, explaining the key benefits of SOlotto and signing people up on either a tablet device, or by using a paper flyer, along with providing a Brand Ambassador to live the life of Winner the dog.